The McLaughlin Whitewater Design Group, a Division of Merrick & Company, brings decades of hydraulics and outdoor recreation leadership and expertise to the design and development of whitewater venues. Our tradition of innovation and excellence is founded on not only by meeting project criteria, but by exceeding performance expectations once the project has been completed and enjoyed by the public. Rick McLaughlin is a brilliant problem solver and provides creative and detailed solutions to complicated problems with a variety of demands. His team is helpful by explaining the technical workings of the design as well as creating a fun, park-like setting. Collaborating with other whitewater experts, the engineers who are now the principals at McLaughlin Water Engineers have designed applauded projects across the US. 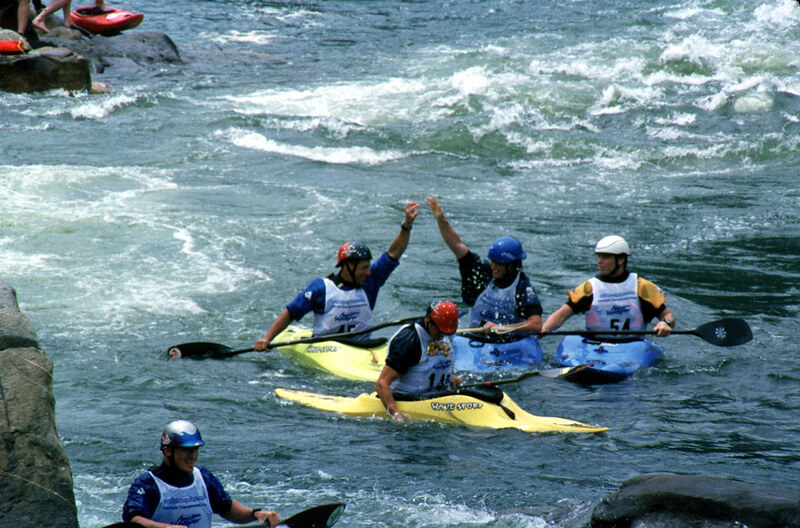 These include the 1996 Olympic course on the Upper Ocoee River (TN), Confluence Park (Denver, CO), Horseshoe Bend’s Gutter on the Payette River (ID), and the self-contained, river-like whitewater course at the Adventure Sports Center International (MD). MWDG whitewater parks look great, work great, and “stay put.” We can deliver a course that looks just like a natural riverbed, meets clients’ unique needs, and is reliable for the life of the material to minimize worry about costly and potentially dangerous failures. Plans are designed and sealed by a registered professional engineer and backed by professional liability insurance. With offices on the East Coast and in Colorado, we can help you achieve your objectives for river restoration, protection and recreation as you seek funds and plan events for your unique whitewater park. Having led community outreach, partnership planning and environmental advocacy projects for thirty years, we can assist you as you pursue economic impact assessment, funding, and risk management plans.